We all love some drag and drop action – we use it all the time, and in fact have often come to expect it to be a feature in nearly every application we interact with. 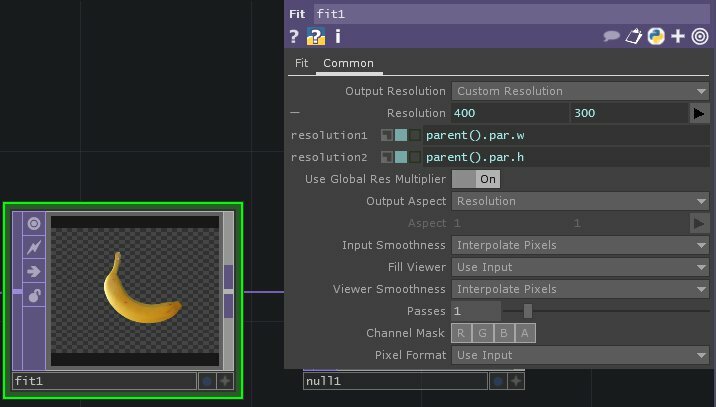 With that in mind, how can we think about integrating some drop actions into our work in TouchDesigner? Well, today is your lucky day! 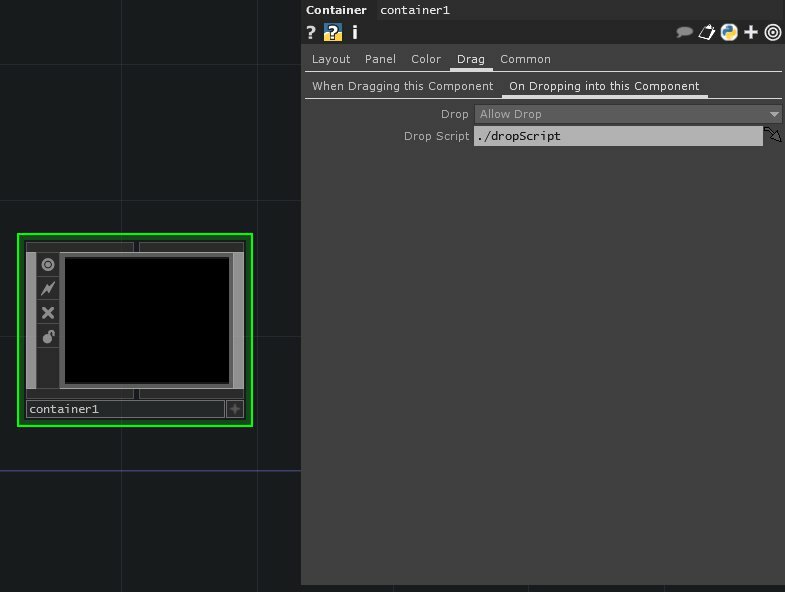 Here we’re going to look at some of the fundamental ideas that will help you get started with much more complicated drag and drop functions. Now we’re ready to start working. First let’s navigate inside of our container, then split our work-space left and right, and open up a text port on one side of our work-space. Inside of container1 let’s add a new Text DAT and call it dropScript – just like we had planed earlier. To this in action, let’s open the viewer for our container and drop a file onto it – we’ll want to keep an eye on our text port as well, because this is where our print command will show up. The first item in this list is what we’re looking for – it’s the pathway to where our dropped file lives on our computer. Let’s change our drop script so we only get that first item in our list. Now when we drop a file onto our container we only get the pathway to the file. That’s all well and good, but what can we do with that? 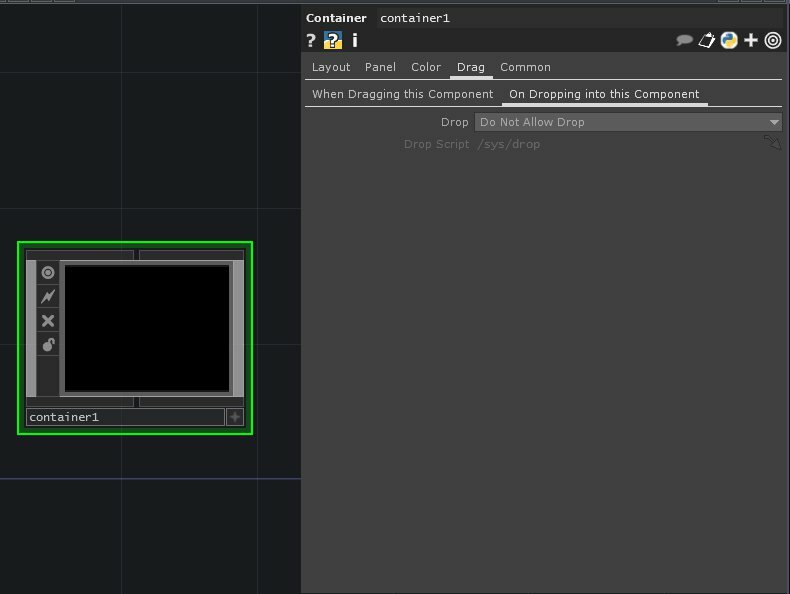 Let’s set up a few other items in our container so we can really see this in action. Let’s add a Movie File In TOP, wire that to a Fit TOP, and finally to a Null TOP. Finally, let’s name the null bg, and set the parent to display this as the background TOP. Commenting isn’t always the most fun part of programming, but when you come back to a project or script it can make it much easier to remember what you were thinking and how you were working. Now, when we drop a file onto our container, we should see the background file change as well. That’s great, but how can we push this a little farther? Well, we might imagine that we find ourselves in a situation where we’d like to change the target directory for a Folder DAT. While the Choose a Directory example works well, it you might not want the hassle of navigating to your folder – instead you might just want to drop it onto your container. We can use the same principles from above to do just that. Now we can drag an entire folder onto our container and see the Folder DAT update. Bada bing! 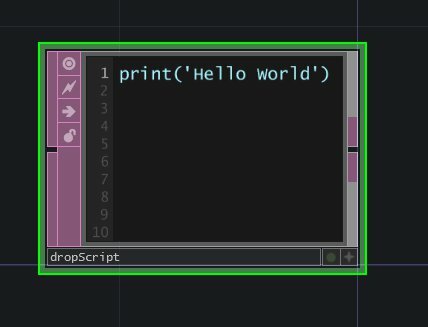 With a few basics under your belt, now you can have fun and and start to play with doing something exciting with drop scripts. 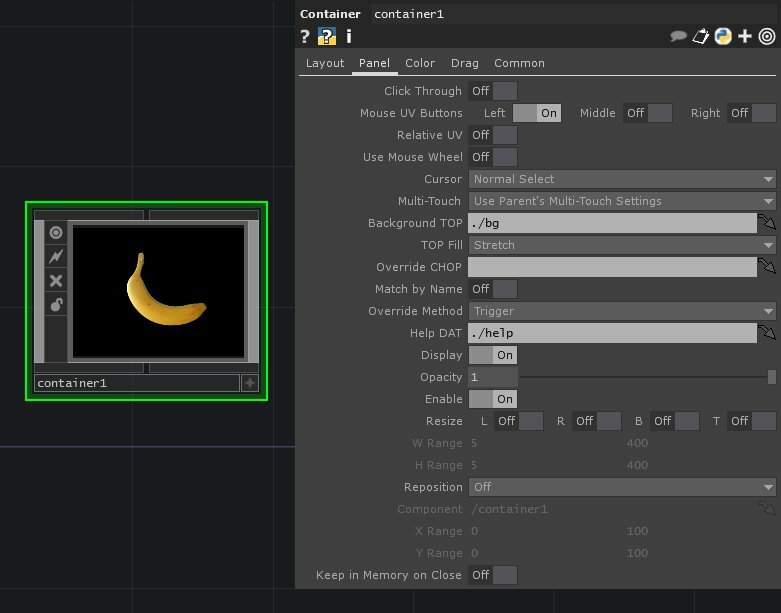 This entry was posted in How-To, Programming, TouchDesigner and tagged programming, Python, TouchDesigner, TouchDesigner Tutorial on May 30, 2015 by raganmd.